How much is your property worth? Is the price right? | Lawler & Co.
How do you know what the right price is to put your house on the market for? Is the valuation correct? The ups and downs of the property market over the past decade makes assessing a suitable asking price a bit more difficult. It involves not only the state of the market, but also factors including the property’s condition, the level of demand, and – of course – location. Some vendors want to try their luck at getting the highest price but overvaluing a property is the most common mistake to make and can cost a vendor dear, sitting on the market for longer than necessary and comparable homes looking to appear to be bargains when they are just priced correctly. Overpricing your property may not sell yours but may sell your neighbours! Study the sales prices in your street and its immediate surroundings, concentrating on the last six months. The information is freely available on property websites and will give you a reasonably up to date idea of the state of the local market. Rather than look at the asking prices concentrate on the actual selling price. No two houses are the same so don’t assume you will get as much for your home as your neighbours got for theirs only last month. It is perfectly feasible for homes that sit side by side to be worth significantly different amounts. 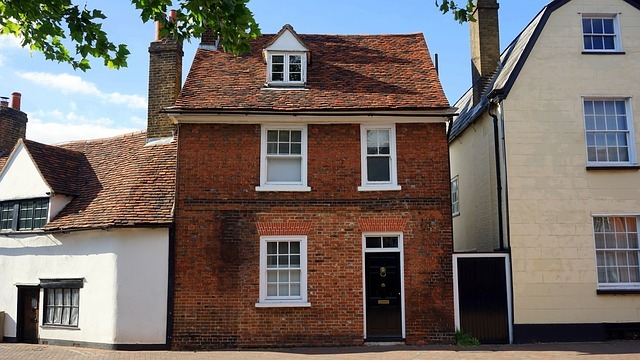 Homes close to excellent schools or transport links will sell at a premium, If they are also in good condition, with a high specification – eg with sash windows and/or engineered wood floors – they might also top local ceiling prices. Estate agents base their valuations on the square footage of a property rather than the number of rooms. If your one-bedroom apartment is larger than average, buyers will pay more for it. On the downside, if it is a bit poky, a bit run down, or suffers from a blight such as being on a busy road or near the railway tracks, you’re going to have to trim your expectations. If you’ve invested in your property you can expect to get some of your money back, especially if you have added floor space. It goes without saying that a property that has enlarged or had several home improvements will achieve more than a basic like for like nieghbouring property. However be mindful that not all improvements equal an increase in price. Improvements that are too tailored to your likes could people off the increase in price. Shop around for your Valuation. Get valuations from at least three agents. Ask them to provide examples of what similar properties have sold for – they will have even more up to date information than the online portals. Highest Valuation isn’t always best! Don’t necessarily go with the highest valuation you receive. If a valuation seems too good to be true, it probably is. The first six to eight weeks are the optimum selling time. If you are considering a move please call into one of our friendly offices or telephone your local branch and we can arrange for one of our valuers to visit your home and provide a free no obligation valuation. Click here for more information.